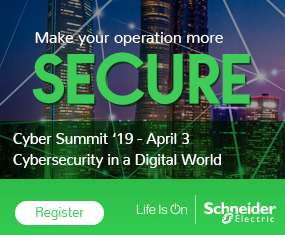 While addressing a buffer overflow vulnerability to its SoMove Lite software package, Schneider Electric identified other vulnerable products. Schneider Electric has produced a patch that mitigates this remotely exploitable vulnerability, according to a report on ICS-CERT. Successfully exploiting this vulnerability could allow a remote attacker to execute arbitrary code, according to Ariele Caltabiano (kimiya) with HP’s Zero Day Initiative (ZDI) who reported the vulnerability to ICS-CERT. Paris, France-based Schneider Electric’s maintains offices in more than 100 countries worldwide. Unity Pro is a development software to test, debug, and manage applications. SoMachine is a single software environment for developing, configuring, and commissioning automation machinery. SoMove is a setup software for motor control devices. Schneider Electric estimates these products see use globally. A DLL in a DTM development kit which ends up installed during DTM set up could be vulnerable to a buffer overflow that may allow an attacker to remotely execute code. CVE-2014-9200 is the case number assigned to this vulnerability, which has a CVSS v2 base score of 7.5. No known public exploits specifically target this vulnerability and an attacker with low skill would be able to exploit this vulnerability. Schneider Electric released a patch that resolves the vulnerability by removing the vulnerable DLL. Click here for the Schneider Electric patch. Click here for Schneider Electric’s security notice SEVD-2015-009-01.